Keeping Winnie's tail wagging since 2008. All dog treat recipes are tested and Winnie approved. 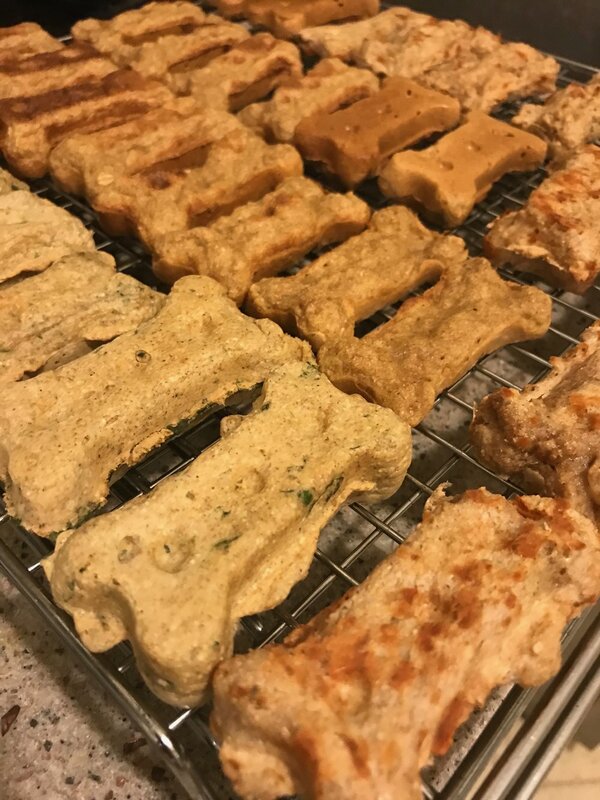 Winnie loves these baked bones: Apple & Cinnamon, Mint & Cheesy Bones. *If you dehydrate the bones they will last longer and be super crunchy! Winnie doesn't normally eat her veggies, but when mixed with peanut butter... she'll eat anything! Winnie thinks these dog-friendly candies are the perfect sweet treat.